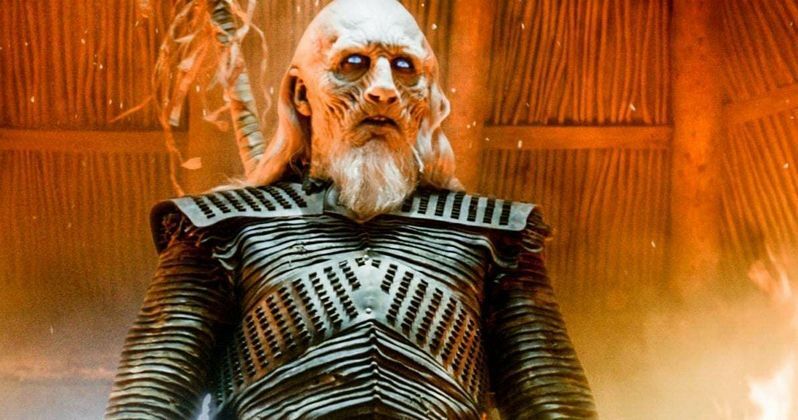 We've got some new details on the upcoming Game of Thrones prequel series directly from George R.R. Martin. HBO is eager to keep cashing in on their hit fantasy epic, despite the fact that the flagship series is coming to a close next year with the final season. But they're already planning the future which, coincidentally, will be diving deep into the past of Westeros, revealing what Martin's world looked like thousands of years before we know it. No dragons. No throne. George R.R. Martin recently provided an update, disclosing what little he could, on the status of the spin-off. Previously, the author had been referring to the show as The Long Night and it looked like that was going to be the official title. However, Martin clarified that, even though he's calling it that, HBO isn't having it. Here's what Martin had to say about it. "That's the show I'm calling 'The Long Night.' HBO said, 'Don't call it 'The Long Night," so that's not the official title. But I still think of it as 'The Long Night.' That's the one Jane Goldman wrote, and they're gearing up for preproduction. Naomi Watts has been cast, so that's very exciting." As the author mentions, Naomi Watts has been cast to lead the Game of Thrones prequel, with Josh Whitehouse also scoring a role in the ensemble. These characters will be entirely new to the universe, even to those who are very familiar with George R.R. Martin's novels. Since the show will take place thousands of years before the main series, there have been very few mentions, even in the novels, of Westeros during that time. Martin explains that meant crafting entirely new characters alongside showrunner and writer Jane Goldman, who is heading up the new series for HBO. "If you look at the published books so far, there's really very little material about that, a sentence here, a sentence there. Old Nan tells a tale that takes up a paragraph. So Jane had to create the characters, the settings and some of the events, and we had to look at everything that was said and say, 'O.K., here's what was said at this point, we need to make it consistent to that.' We kicked around some ideas and I made some suggestions. But mostly it's been Jane running with it. It's set thousands of years before 'Game of Thrones.' King's Landing does not exist. The Iron Throne does not exist. There are no dragons there." At one point, HBO had as many as five different Game of Thrones spin-offs in development. While others may see the light of day still, this is the first one to go in front of cameras, with filming expected to take place next year for a possible 2020 debut. We'll be sure to keep you posted as more details on the project are made available. This news was first reported by The New York Times.